Sleep is one of the most important and underrated aspects of living, which is why when we do not experience adequate sleep, we feel terrible all day and then all week. Feeling terrible all week motivates people to work harder to sleep well, but when that does not suffice, many start looking into over-the-counter sleep aids. Sleep aids tend to be non-addictive and safe. They usually work well until their tolerance builds up and the medicine no longer has an effect, but for others, over-the-counter medicine may not be strong enough. That is when people go to a doctor and the doctor prescribes prescription strength sleeping pills. 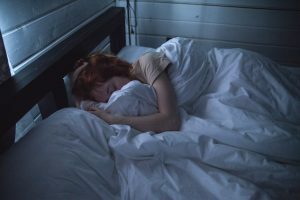 Over-the-counter sleep aids are often harmless if not abused, but prescription strength sleeping pills are far easier to become addicted to if one is not careful or if the wrong dose is taken. This is because the brain adapts based on what we feed the brain from the external world. Once the brain comes to depend on sleeping pills to fall asleep, the brain can no longer sleep well without those pills and insomnia results. When this happens, attending rehabilitation treatment may be the only solution. Thus the problem grew from minor sleep problems to a full-blown addiction with potential insomnia. There are ways to avoid this dramatic escalation from occurring in your life. Understanding why addictions form is the first step in the process. Developing healthier sleep habits as alternatives to pills is the next step. Many prescribed sleeping pills are also known as sedative-hypnotics. Sedative-hypnotics change the brain by the way they decrease overall activity in the Central Nervous System (CNS), partly by increasing activity of the body’s natural neurotransmitter, GABA. GABA is inhibitory, meaning that this neurotransmitter inhibits and slows down neuronal activities. The effects of slower neuronal activity are increased sleepiness, less thinking, relaxation, and a heavy urge to sleep. Since sleeping pills slow down the body’s activities, too much can lead to death because the person can stop breathing or the heart might stop because of too much muscle relaxation. This is called overdose and requires immediate substance abuse help. During healthy sleep, people go through several sleep cycles each time until they wake up in the morning. There are four stages of sleep. In stage 1, your heartbeat, breathing, and body movements will gradually become slower over a period of several minutes and your brain activity will soon follow. As you enter stage 2, your muscles relax almost completely, your eyes become still, and your brain experiences occasional surges of activity. During stage 3, you are in a deep sleep and will not be easily awoken. After 90 minutes, you will start experiencing Rapid Eye Movement (REM) sleep, which is often when people dream and memories are reorganized. If this sleep cycle is disrupted by outside forces, then you may lose the time you need for your body to restore itself, your mind to become organized, and for learning to become engrained into long-term memory. If you are addicted to sleeping pills, you may be experiencing normal sleep, but if you cannot stop using the pills because the withdrawal symptoms are disrupting your sleep cycle, then you need to seek rehabilitation treatment. Commonly prescribed sleep medications are hypnotics, which include Zolpidem (Ambien), Eszoicolone (Lunesta), Ramelteon (Rozerem), and Zaleplon (Sonata). These all hold the potential for addiction if abused. Benzodiazepines are the most commonly prescribed medications today for treating anxiety and insomnia with the purpose of helping people sleep better. These can also be high addictive. An apparent sign that you need substance abuse help is when you start feeling like you need to take the sleeping pill, even though you no longer need the medicine to sleep well. These are called cravings. If you do not seek treatment for your sleeping pill addiction, your health may be at risk later on. Long-term sleeping pill abuse impairs overall cognitive function, meaning you will be drowsier most of the time, your motor skills will become diminished, and you may experience anterograde amnesia, which negatively affects episodic memories. Some sleeping pills, especially if misused, continue to produce the effects of drowsiness after you wake up in the morning. This increases your chances of having a life-threatening car wreck that could kill you or someone else, which comes with financial and legal consequences. Not taking the right dose one day could mean withdrawal, while another day, could mean overdose. At the Recover, we realize that most do not initially intend to become addicted to sleeping pills, which is why we want to provide with information on what to do if you have become addicted to these drugs . Others might blame you for your addiction, but we understand that you want to be able to sleep, avoid withdrawal, and find a way out of relapse if possible. There are several programs that offer substance abuse help, which can help you reach these goals. The Recover is an unbiased substance abuse and mental health news provider that gives the public helpful information about substance addiction. We also provide information about West Virginia centers for addiction recovery. If you are currently addicted to sleeping pills, then call (888) 510-3898 to talk to a treatment specialist who can help you find rehabilitation treatment. Sobriety, It’s Harder Than Quitting: A Deep Dive into Some of the Many Life Changes That Accompany Sobriety.